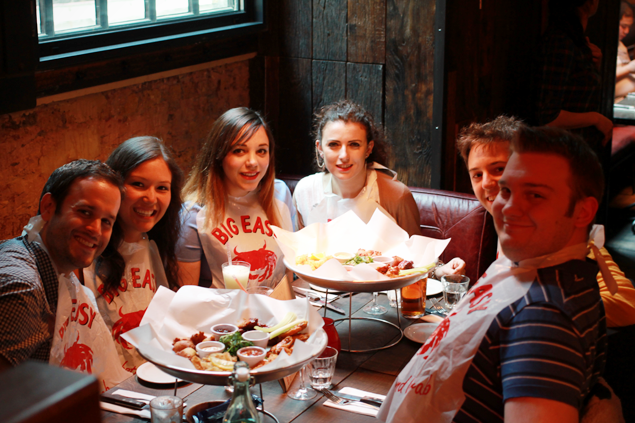 We kicked off my birthday celebrations with a visit to Big Easy BBQ and Crabshack, newly opened in Covent Garden. I had never visited the other branch before and was really looking forward to sampling the food - they specialise in seafood and Deep South style barbecue- delish! The restaurant itself is quite dark and cosy feeling despite the vast space, they even have a second bar on the basement level of the building. We were happily seated beneath a vast window though so we could fully appreciate the visions of meat being brought to our table! 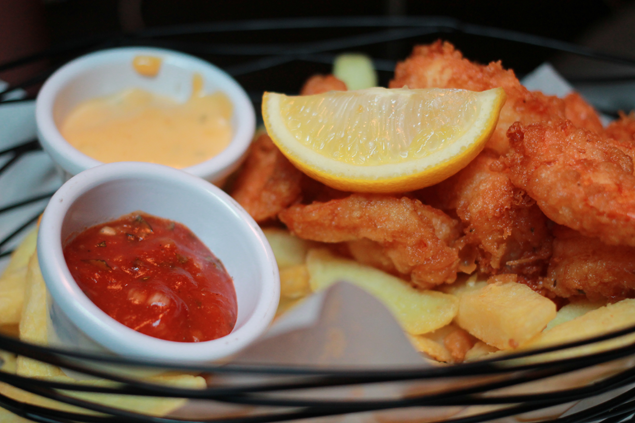 I ordered the jumbo deep fried shrimp basket with chunky chips - these were amazing and the shrimp were enormous, so much so that I couldn't empty the basket! The others ordered a couple of the huge BBQ platters, piled high with ribs, chicken and pulled pork. I sampled some of the pulled pork, and csn confirm it was to die for, just perfectly seasoned and melt-in-your-mouth. To go with these there was coleslaw and chips, although really you don't need sides with portions this big. 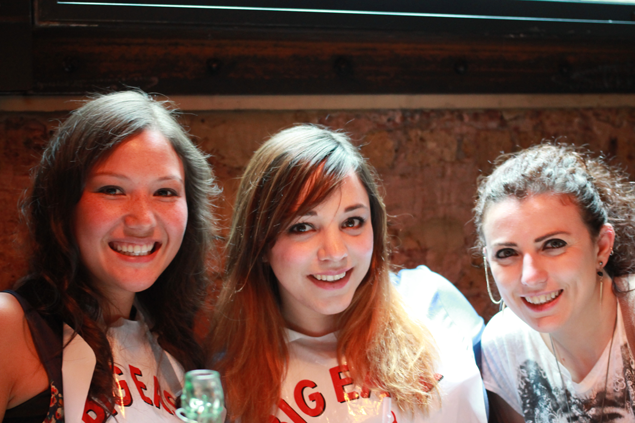 You will need the helpfully provided bibs though - those ribs are sticky! 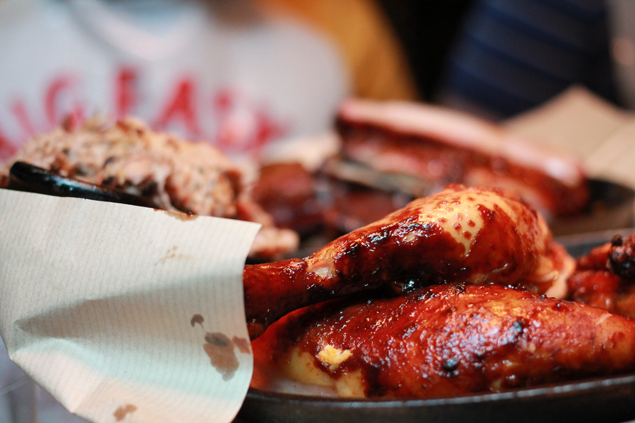 If you're a big BBQ fan and appreciate huge portions I would definitely recommend the Big Easy; however do bear in mind it is rather pricy, ours set us back around £70 per couple overall which we didn't really feel was reflective of the food. Saying that though, the service was good, we had a very knowledgable waiter who even offered to take our group photos for us! I would probably go back for the £10 lunch menus next time rather than the blowout meal, I just don't think I can afford that twice in one year but if you can't celebrate when it is your birthday then when can you! 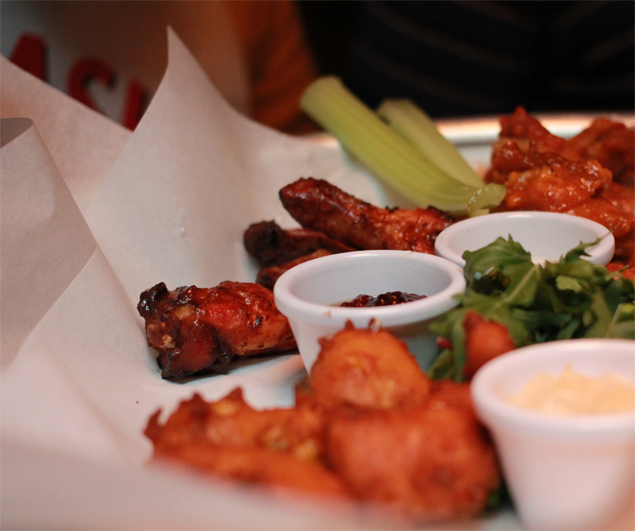 Find them at bigeasy.co.uk - but make sure you don't eat anything beforehand if you want to clear your plate! I went here a few weeks back, I loved it but agree it's a bit pricey!